As organizations succeed and grow, company leadership is often times very focused on how they can effectively scale elements such as process, production, marketing, and expense management. 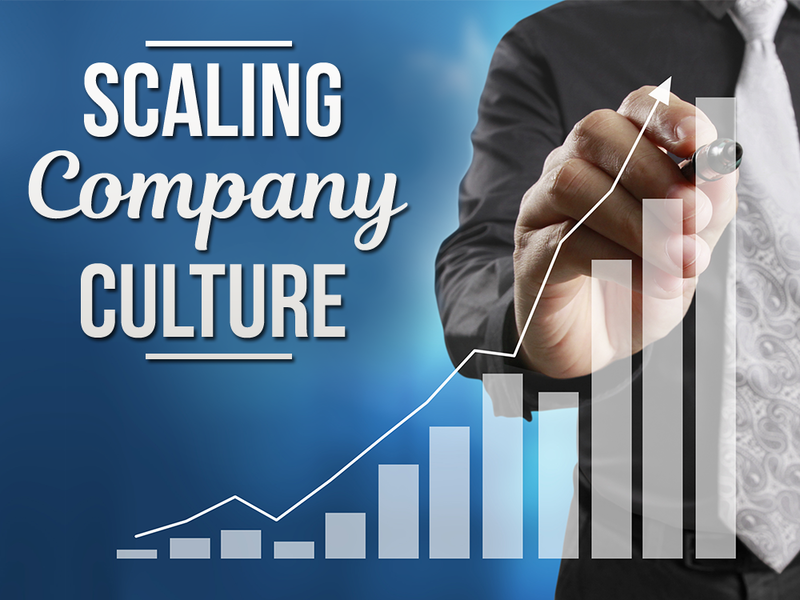 However, very few organizations put thought into how they will scale their company culture. Although this may seem irrelevant when you are caught in the midst of rapid growth (and all the challenges that go along with it) it is also important to understand that your attitudes, values, and vision are all driving factors behind the success that you are currently experiencing. If you do not make an effort to preserve this company culture, even as change represents the only norm, then you may lose one of the factors that made your business special to begin with. In this article, we will offer useful ideas that can help you retain the company culture that got you where you are. Make culture an item of discussion. When company leaders discuss the pressing issues facing the business, company culture deserves a spot on the agenda. Treating company culture as an integral foundation for success — and giving it the official respect and dedication that it deserves — is fundamental. Plan events on a regular basis. No, we’re not talking about those boring corporate banquets or any “optional” leadership retreats. Plan events that employees actually want to attend. Giving your team the time and the space to get to know each other and to build real rapport will help your organization stand up to the hard times a little bit better. Whether done through a formal mentorship program, or simply encouraged on a more informal level, every organization should be actively seeking to mentor employees. Not only does this help build relationships between the people who will be constructing the future of your company, it also empowers growth on an individual level. If you aren’t living your own values and working to turn your own vision into a reality, how can you expect anyone else to do the same? This can be as simple as making a point to work hard every day, though it is oftentimes as complex as making the most ethical decisions at every moment, even when the “easy” choice might be to bend the rules in a seemingly insignificant way. Choosing employees who share your values and who believe in your vision will make scaling your company culture far easier than it would otherwise be if you were relying on the cooperation of people who had meaningful philosophical disagreements with your purpose. If you don’t share your vision with your employees, they will never be able to share it or work toward a common goal. And as obvious as this might sound, it is important to point out because sometimes business leaders overlook it. After all, because you are constantly thinking about your vision and implementing it in your workplace, it is easy to assume that your employees, who share the work environment, are on the same page. But unless you actively seek to share your ideas with them in an open and honest way on a regular basis, there are likely to be some unspoken disagreements and points of confusion. Striving to create a company culture of agile innovation? Visit Planbox online today to learn more about how our software solutions can help.